I had hoped to read this spooky book in time for Halloween, just because I find it fun to read books in keeping with particular seasons and holidays, but alas, it took me much longer to get through it than I intended – not because it’s a difficult read, but time set aside for reading seems to be lacking lately. The story opens with Jacob recollecting fantastical stories of children with magical powers living on an idyllic island estate, as told to him by his grandfather. These stories were told to young Jacob matter-of-factly, as Jacob’s grandfather claimed to have been there himself, living among these children. There were also tales of horrible monsters in pursuit of the children. As Jacob grows older, he dismisses these stories as merely fairy tales made up by his eccentric grandfather, who, as he ages, seems to succumb to dementia. One terrible night, Jacob’s grandfather dies a gruesome and mysterious death, but not before leaving Jacob with some cryptic parting words. Jacob is so traumatized by his grandfather’s death that his parents place him under the care of a psychiatrist. Eventually, Jacob becomes determined to travel to the remote island of Cairnholm off the coast of Ireland – the island where the magical estate from his grandfather’s tales is supposedly located – to try to unravel his grandfather’s mysterious last words. 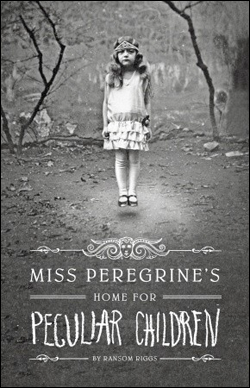 On the island, he encounters things beyond his imagination: the house and the children his grandfather told him about were not only real, but they are still alive, if only in another dimension where they exist in a time loop, repeating the same day over and over and over again. The monsters, too, are real. After figuring out how to navigate traveling between past and present, Jacob must make a choice that will change the course of his life, for better or worse. Peppered throughout the book are actual old photographs, many of which the author apparently found at garage and rummage sales. They’re interesting and rather random photos, and I had a hard time deciding if the story was built around the photos, or if the author looked for photos that would enhance the story. The photos add an interesting and unique element to the story, but in all honesty, I think the story could have stood on its own without the photos. I enjoyed the story. It’s aimed at a teen/YA crowd, and I can see the appeal to that age group, as it’s entertaining, moves along at a good clip, and has enough dramatic flair to keep it interesting without delving too deep into any particular character or theme. It’s tough to be asked to read and review a book and to come away from it struggling to spin a positive review. Although I state in my Review Policy that I write honest reviews (keeping in mind that I am NOT a professional reviewer or critic, just someone who loves to read, and reads a lot, and loves to write, and is fairly certain she recognizes good writing from not-so-good; but it all boils down to opinion, doesn’t it? ), I’m not out to hurt anyone’s feelings. Goldie was sent to me by an internet friend who is part of an online book chat group to which I belong. She is friends with one of the authors of this book, I think, who is also part of the group, which makes it even more difficult to be honest if that honesty might be hurtful. 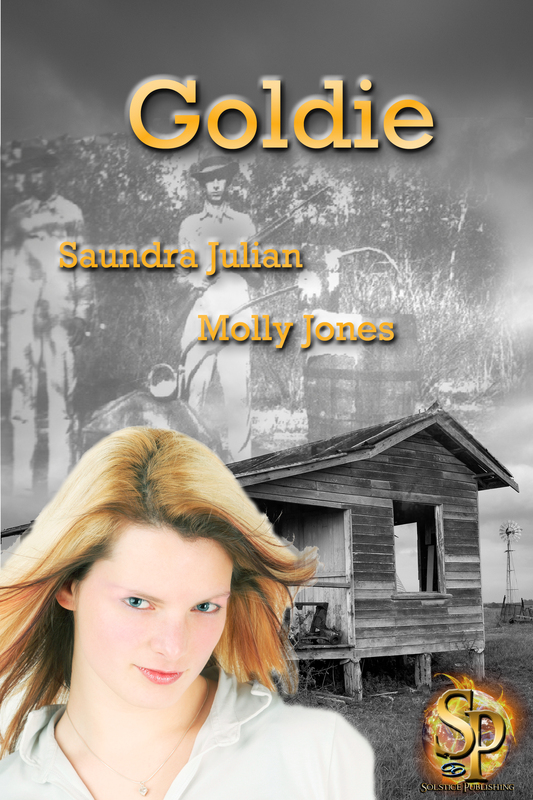 The premise of this story is a good one: set in Prohibition-era Oklahoma, Goldie is one of three daughters of a bootlegger. After tragedy hits, she becomes the head of the household and carries on her father’s bootlegging enterprise. I think this story could have been so much better and gone so much further than it did. There are numerous problems with it, not the least of which is the fact that it’s so full of misspellings and other errors that it’s difficult to believe that it actually went through a professional editing process (the author confirmed this in an email exchange). The editing is so poor that I assumed this was another self-published book, and was shocked to learn that it was published by a mid-sized publishing company and went through that publisher’s editing staff. The story itself is very superficial, and there is virtually no character development; the characters are just plopped down in front of the reader, and we never learn what makes them tick. This made it very difficult for me to actually care about any of the characters. None of them seemed real to me, just one-dimensional figures populating a story that jumped conveniently from one event to another with little realistic transitioning. Apparently, the authors have a sequel in the works; I wish them luck. Hi, it’s me again, your friendly anti-YA reader, reading another YA book! Okay, so I’ve gotten sucked into this trilogy, I admit it. And I enjoyed this one as much as I enjoyed The Hunger Games. I had heard that neither of the second two books in the series are as good as the first, that they’re more political-oriented. 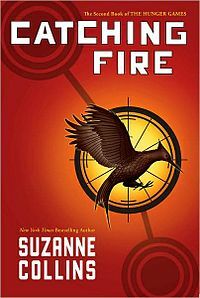 And I confess that I delved into Catching Fire a little hesitantly, assuming it might be a little boring. I thought to myself, “If there’s not the action of the arena, what is there?” Okay, so I kind of enjoyed the violence action of the first book. It’s fantasy, right? Well, lo and behold, Katniss and Peeta do indeed find themselves back in the arena – a completely different arena – again fighting for their lives. I don’t want to give away too much, but this installment is filled with action, drama, suspense, violence, a touch of teen romance (torn between two lovers, feelin’ like a fool . . .), hints at political uprising, and lots of funny names (apparently in this version of the future, society has completely abandoned good sense when naming offspring). You’ll laugh, you’ll cry . . . okay, maybe you’ll laugh, and you probably won’t cry. But you’ll shake your fists at the injustice, and cringe at the blood, and you’ll definitely be rooting for our favorite teenaged heroine, Katniss Everdeen! What happens next? We’ll have to find out in the final book, Mockingjay, which I probably won’t get to for at least a few weeks. Stay tuned! I was not going to read this book. In fact, I kind of dug my heels in about it. I’m a grownup – I don’t need no stinkin’ trendy YA books. I finally relented, very reluctantly, under pressure from both my book club and my 15-year old son. Well, you can probably guess what happened. I liked it. In spite of myself. Which just goes to show, don’t judge a book by its cover – or its genre, for that matter. It is an unspecified time in the future. North America has been wiped out following war, flood, famine, etc., and a new land called Panem has taken its place, with the Capitol running things surrounded by twelve districts. Each year, just to keep the people in line, the Capitol requires each district to offer up two children – a boy and a girl – between the ages of 12 and 18, chosen by random drawing at a ceremony known as the Reaping, to enter into a bloody death match that typically lasts a few weeks and is televised to the whole of Panem, live. 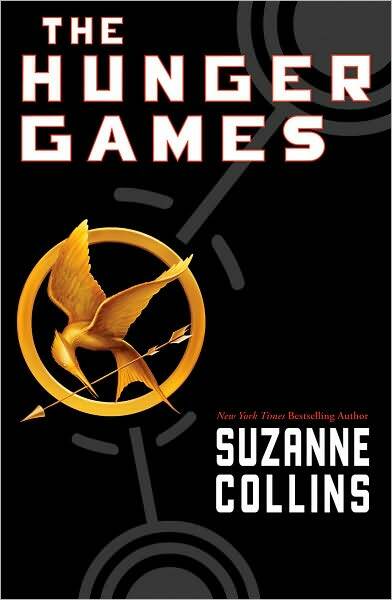 This death match is known as The Hunger Games, and each “tribute,” as the child contestants are known, is dropped into a carefully chosen arena, which typically consists of some sort of vast wilderness, and must try to kill as many of his or her opponents as possible while avoiding being killed him- or herself – using wits, weapons, and whatever else is available. The game continues until only one tribute is left alive, who is then named the Victor of that year’s Hunger Games. Is it violent? Yes, but actually not terribly graphically so; killings and deaths are described in rather general terms, so a lot is left to the imagination. I’m not sure what about this appeals so much to the young adult crowd – is the actual violence, allowing teens to live out their hormone-driven anger vicariously? Is it the competition aspect? or are the characters real enough that teens are able to connect on some level? In any case, I thought the storyline was very imaginatively conceived and executed, and it was well written. It really is quite suspenseful (although some of it is predictable from an adult’s standpoint, I think), and I found myself cringing and gasping throughout the story, wanting to know what was going to happen next. Also, I really love the fact that the protagonist/hero in the story is a female – an excellent point to make to both male and female adolescents. This is the first in a trilogy, and the end compels one to read on in the next book. Hopefully I will get around to it before too long, but for now, I’m committed to several other books first.